his is one of several portraits Picasso painted of his companion, Fernande Olivier, during the summer of 1909, a period that the couple spent in Picasso's native Spain. 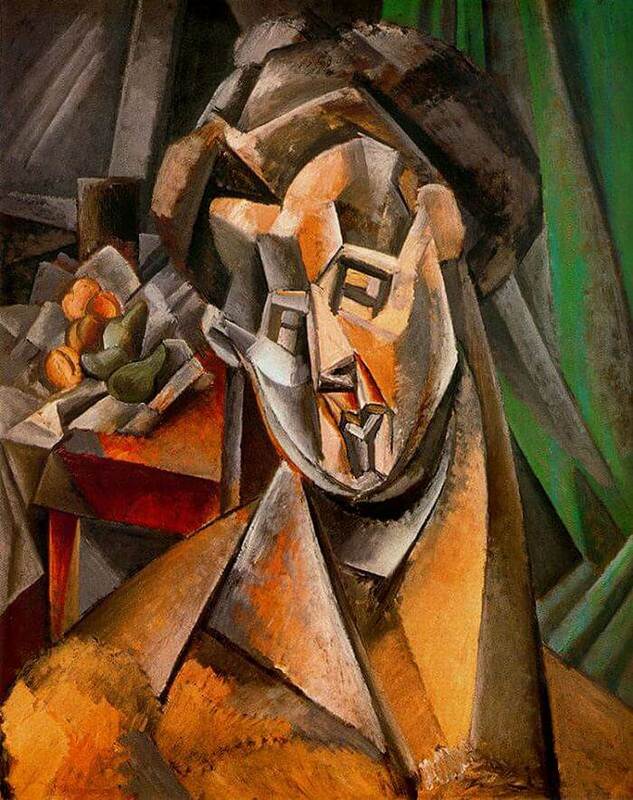 While the pears in the background are modeled in the round, Picasso radically reconfigured Oliviers head and bust, fragmenting them into geometrical segments. This fracturing of solid volumes offered an alternative to the traditional illusionistic and perspectival approach to depicting three-dimensional space on a two-dimensional surface and suggests the direction Picasso's process would take in the development of Cubism. The slices carved into the figures neck and the diamond recesses of her eyes are replicated in the sculpture Womans Head (Fernande), which Picasso created in the fall of that year.